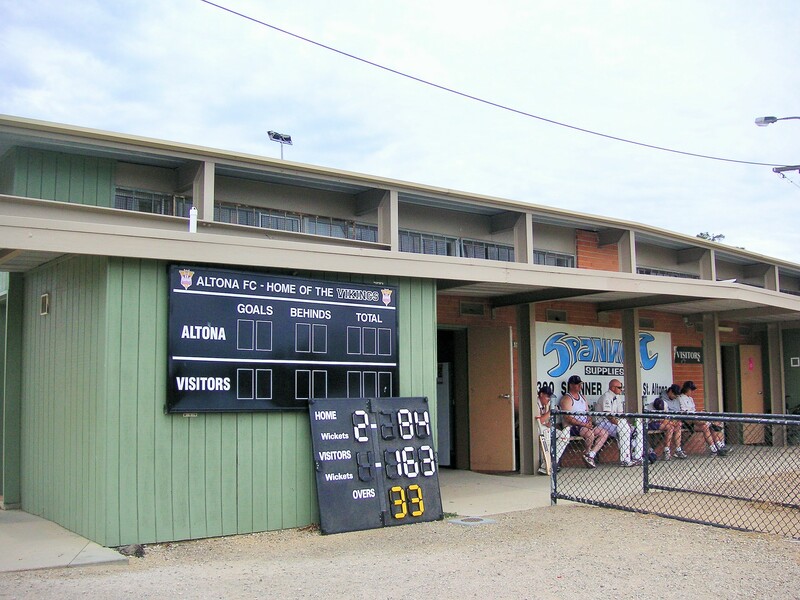 Three games here: the boys playing between the clubrooms and the changerooms, the seniors playing on the turf and, in the distance, the fifths on the green-carpet on old concrete pitch. 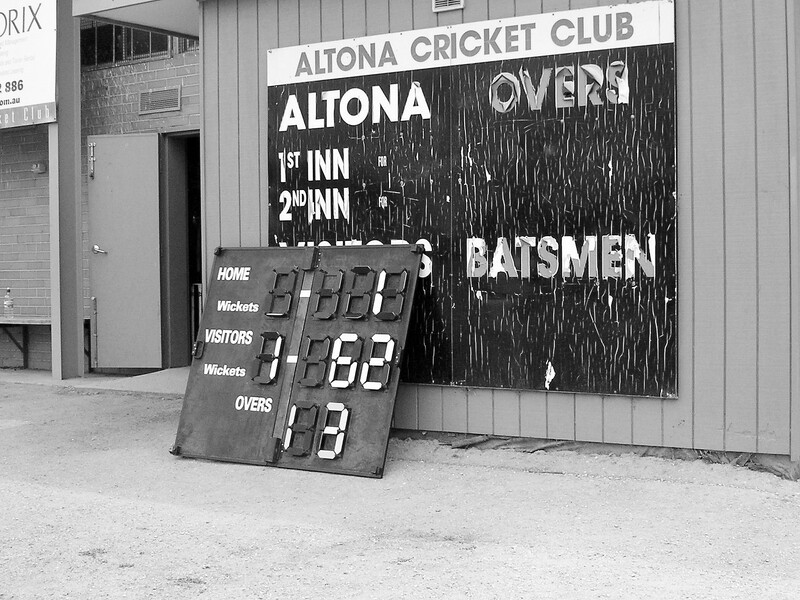 Once a bus stop, sort of, then a scoreboard, sort of, now demolished. 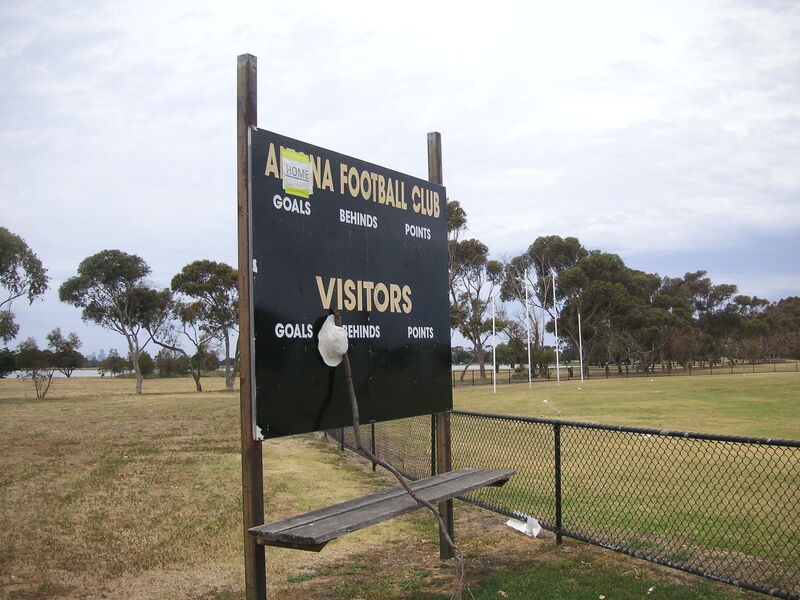 Time for the scorer to pad up. 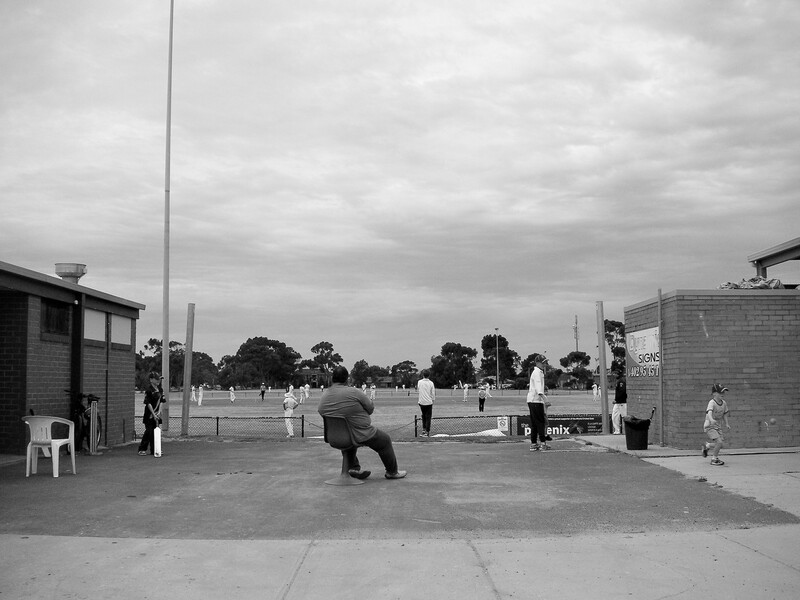 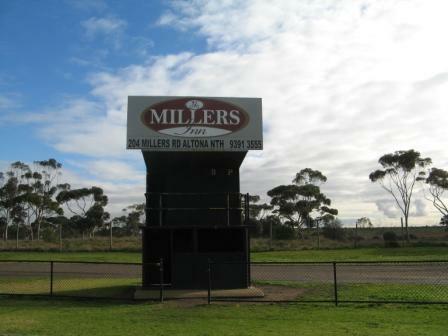 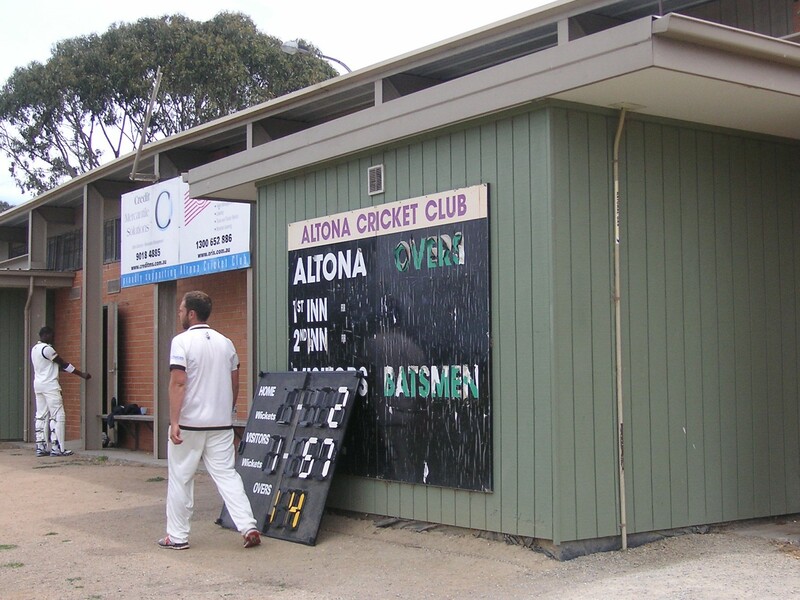 No shortage of scoreboards (old and new), or games of cricket, at Grant Reserve, Altona in Melbourne’s western suburbs.